Katherine Birmingham Bontekoe joined LALIVE in 2016. She specialises in international arbitration and public international law. She has acted as counsel in numerous institutional and ad hoc international arbitral proceedings governed by diverse procedural and substantive laws. She has also represented the Governments of Mexico (Avena), the Federal Republic of Germany (LaGrand), and Paraguay (Case Concerning Vienna Convention on Consular Relations) in proceedings against the United States in the International Court of Justice arising under the Vienna Convention on Consular Relations. In addition, she has represented parties in U.S. state and federal courts in a wide variety of matters. 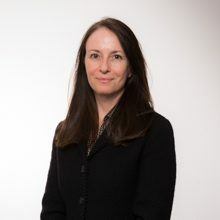 Prior to joining LALIVE, Katherine Birmingham Bontekoe was a litigation associate in the international dispute resolution group of Debevoise and Plimpton LLP in New York (1997 – 2003) and London (2003 – 2006). She also worked for the United Nations in Kosovo and New York. Katherine Birmingham Bontekoe holds a BA (1991) from Stanford University, a JD (1997) from Harvard Law School and a Master of Arts in Law and Diplomacy (1998) from the Fletcher School of Law and Diplomacy at Tufts University, USA.